Clams, lobsters and cocktails included. Like many Northeastern cities, Boston comes alive in the warmer months. As a life-long Boston resident, chef Barbara Lynch, who was recently named one of Time's 100 most-influential people on Earth, knows how to make the most out of the spring and summertime weather in her hometown. 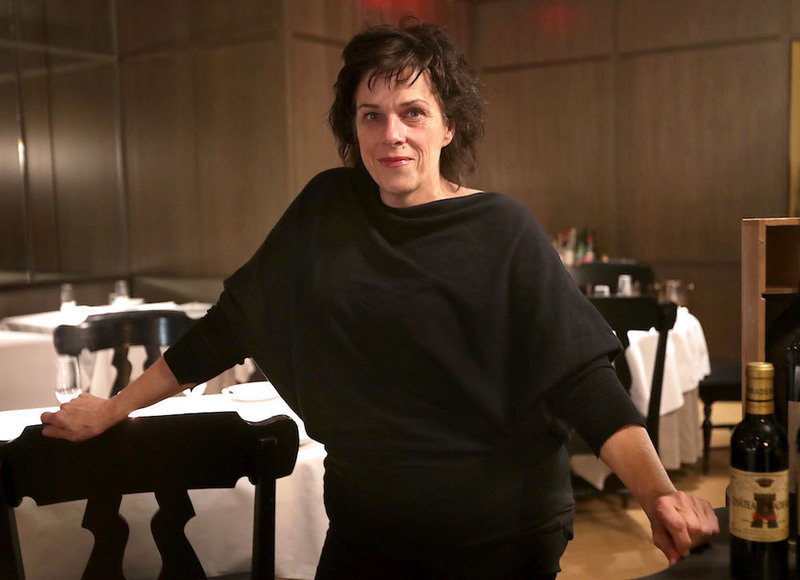 Lynch is cooking at Chefs Club in New York on Monday, May 8th and she recently shared her tips for where to eat and drink in Boston during spring and summertime. If you're in need of a seafood fix. "If you want a good piece of salmon, fresh fish, a clam plate or lobster roll, Yankee Lobster Company is a really great, dive-y spot right on the pier," she explains. "Also, both Jasper White’s Clam Shack and my restaurant B&G Oysters are great options for chowder." If you're looking for Boston's best hot dog. It might sound dubious at first, but for Lynch, the best hot dogs in Boston come from this 60-year-old seafood shop. "Sullivan’s on Castle Island in South Boston has the best, what we used to call, snap dogs and they come with those great curly French fries," she says. "The hot dogs are still like $1.90 and they have the grilled buns too. A snap dog with some fries and a shake, it’s a real classic." If you want to explore neighboring Cambridge. Cambridge, the epicenter of academia in Boston, is currently home to some of Lynch's local favorites. "Between Michael Pagliarini’s Giulia and Benedetto, Ana Sortun’s Sofra Bakery and Cassie Piuma’s Sarma (in nearby Somerville), I've really enjoyed eating in Cambridge of late," she explains. "All four are simple, consistent, delicious and have great value." If you're looking for a secret hideout. Sometimes Lynch enjoys a little seclusion inside the city and this museum cafe is one of her favorites for a bit of peace and quiet. "The Isabella Stewart Gardner Museum is a great getaway and they serve food late on Thursday nights at Pete Crowley’s Café G," she says. "They prepare some of the best food I’ve ever had and it is sort of a hideaway that I don’t like telling people about. The gardens are really beautiful too." If you just need a drink. While Boston is home to an endless number of bars, Lynch prefers these two spots off the beaten path. "There are a lot of good cocktail bars, but I'm partial to backbar in Union Square, which is run by my former bartender, Sam Treadway," she says. "Also, haley.henry on Providence Street is a great little wine bar. They’re basically doing things with just cans and a toaster and it’s really awesome and original feeling." If you seek the the perfect hangover cure. "Joseph’s Bakery & Deli on K Street in South Boston is one of my main go-tos," she explains. "They make these veal cutlet subs that are the perfect hangover food, especially when accompanied by a black and white cookie. The sandwich is just a super crunchy veal cutlet, tomato sauce and provolone and it’s seriously heaven." Reservations are still available for chef Barbara Lynch's dinner at Chefs Club on 5/8. To book the Main Dining Room, go here. For the Studio, go here.